Group gifts, freebies and gacha finds!, YouTube Vlogs! Happy Easter Everyone! Today we were pleasantly joined with our Creepy Sister, Ashy for our photo shoot and video. Yes, all the Winterwolfs are a little crazy and creepy. It’s just who we are as people. Anyway, I am going to make this short and sweet. We hope you all have a fantastic Easter with your friends and/or family. And Happy April Fool’s Day! Hopefully you don’t get pranked too hard. Group gifts, freebies and gacha finds! 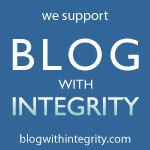 Blogs n’ Sites that I just LOVE! Fallon Darling on Twisted Fish!